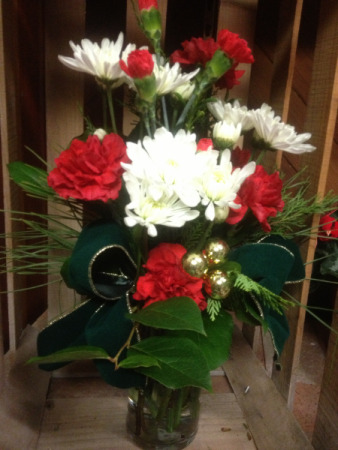 Christmas Remembrance Arrangement in Atascadero, CA - ARLYNE'S FLOWERS & ETC. 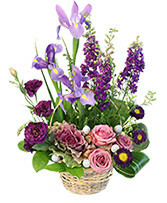 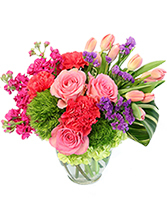 Remember that special person with a long lasting seasonal bouquet in traditional colors and flowers. 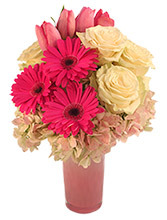 Accented with festive holiday ribbon and glittering ornamental balls.